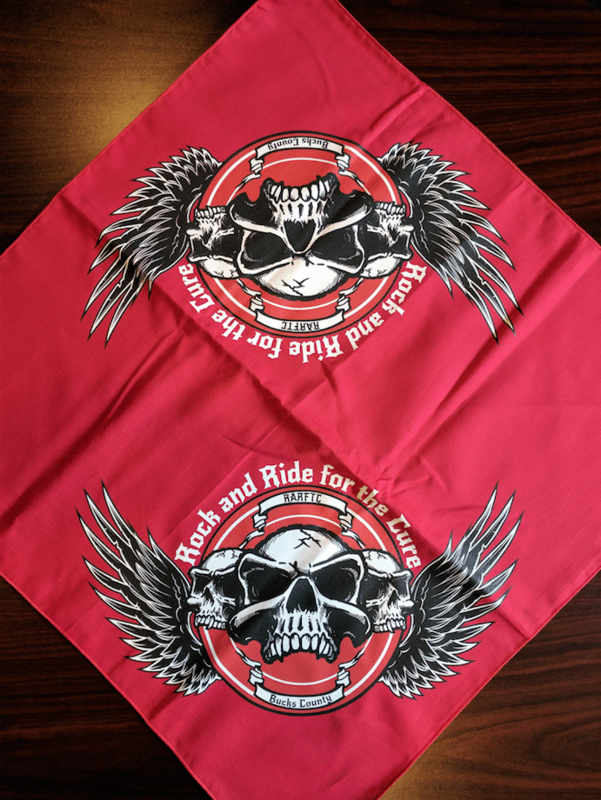 Support our cause and help find a cure for Pancreatic Cancer by purchasing this awesome mens Rock and Ride for the Cure bandana. Perfect to use for sun protection, as a face shield, do rag, and so much more! This product comes in Red.